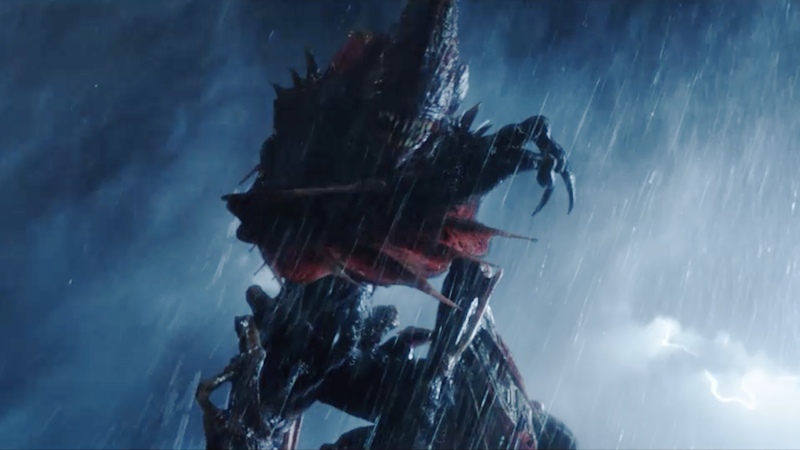 So, look, we really liked the scene in Aquaman where Aquaman and Mera went up against The Trench, the hideous horde of fish/man monsters that lived beneath the waves. It was a visually stunning scene… but it never occurred to us we’d like to see a movie based on them. I mean, we’ve thought we wanted a Man Of Steel 2. We’ve thought we wanted a Cyborg movie. We’ve thought we wanted a Flash movie. But a Trench movie? No-so-much. But, hey! Warners are looking at giving us one anyway… never mind the movies the fans have been practically begging for for the last four or more years. So while Aquaman is still enjoying its success on the far side of a $Billion, it looks like sequel talks are happening already… but it’ll be a while. But Warners are moving ahead with hiring Noah Gardner and Aidan Fitzgerald to pen a horror-like script revolving around the Trench called, wait for it…. The Trench. But it’s not going to cost an awful lot of money compared to most comicbook movies so there’s that. So there you go… we don’t even know if Ben Affleck and Henry Cavill are still Batman and Superman because Warners have yet to actually clarify anything. But a Trench movie is in the works. DC/Warners, why do you insist on making it so difficult for the fans? Now James Wan, director of Aquaman has chimed in… we think he know more than he’s saying. Or is that just us?